Avengers: Infinity War is going to be one heck of a big movie, there’s absolutely no doubt about that. 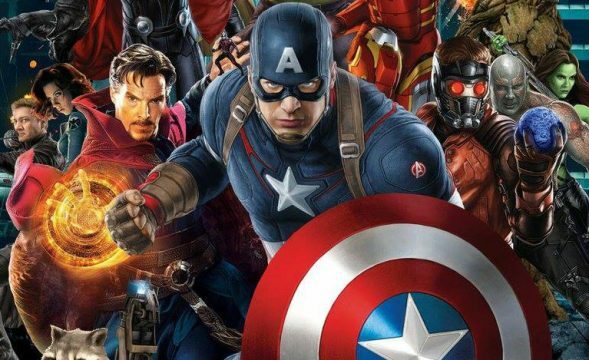 Not only will it feature Earth’s Mightiest Heroes – a rather large group in and of itself – but they’ll also be joined in their fight against big bad Thanos by a number of other characters. Spider-Man, Doctor Strange, the Guardians of the Galaxy and more will all be showing up here. And if that wasn’t enough for you, there’s also the supporting players that have been confirmed for the flick (Man-Ape, Wong, Okoye, etc.) In short, if you’re in the MCU and still have a pulse, you’ll be involved in Joe and Anthony Russo’s blockbuster in some capacity. It’s a lot to handle, to be sure, and though the directors proved themselves capable of juggling numerous plates in Captain America: Civil War, this is a whole different beast and it’ll be interesting to see how they balance everything out. To date, we still don’t know exactly how many characters the film will feature, but from what we’ve been hearing, it’s going to be a lot. In fact, if Tom Holland is to be believed, Infinity War might just be the biggest movie of all time. Speaking to the Toronto Sun in a recent interview, the young actor stated that no one is ready for what the Russos have planned, and we’re inclined to believe him. “That movie literally needs no teasing. It’s going to be the biggest movie of all time,” Holland explained. “Believe me; no one is ready for that movie. With over 60 characters in the film, and one scene in particular featuring over 30 of them, there’s no doubt that the blockbuster is going to be absolutely gigantic and given that it sounds like there’s never been anything like this done before in Hollywood, we have every reason to think that Holland’s right when he says no one is ready. So, there you have it. Avengers: Infinity War will be an event movie to remember – not only because it stands as the culmination of the MCU thus far, but also due to the film’s sheer sense of scale – and we’ll be able to see what all the fuss is about once it hits theatres on May 4th, 2018. It’ll be followed in quick succession by the as-yet-untitled Avengers 4, which is a Marvel blockbuster that will seemingly herald news of the studio’s Phase 4, beginning with Spider-Man: Homecoming 2 on July 5th, 2019.